On November 27, the varsity basketball team hosted St. Martin’s. The Cardinals came out flat and struggled to score in the first half. They regrouped at halftime and were able to come out and match the Saints' scoring in the second half. 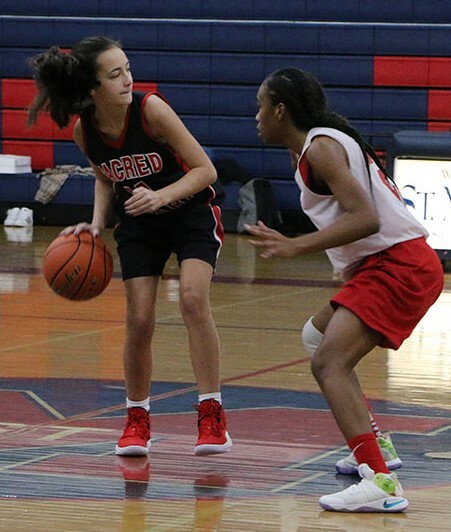 Even though the Saints left with the victory, the Cardinals saw strong performances from Kam Glasglow '22 with a season high 22 points and Adriana Mehaffie '21 with nine points. On November 29, the team played their first game of the St. Martin’s tournament. 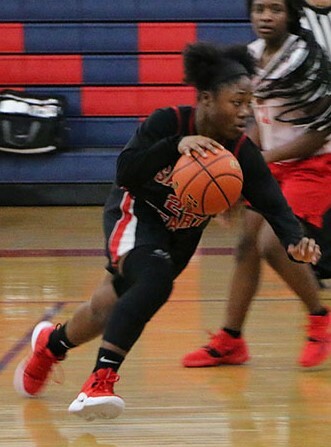 Despite dropping the game to Haynes Academy, Elizabeth Brooks '21 had an outstanding performance, going three for four from the three-point line. She chipped in two other goals for a season high of 13 points. The Cardinals played their next game on December 1 against Sci Academy and found themselves down by three points at halftime. In what turned out to be an exciting second half, the Cardinals were up by only one point with a little over a minute to go. Kam Glasgow '22 drove baseline, and unfortunately, the layup went in and out. The Cardinals then full-court pressed the Commodores, and the pressure on defense forced a turnover. The Cardinals were not able to score this time, but with less than 15 seconds to play, Elizabeth Brooks '21 hit a three-pointer to give the Cardinals a four-point lead and seal the win. The Cardinals came back that afternoon to face Bonnabel in their final game of the tournament. With only seven players available to play, the Cardinals fought hard but were unable to keep up with a quick Bruin team. Kam Glasgow '22 led all scorers with seven points. Gabriella Mehaffie '19 led the team in rebounding and chipped in four points.